When I was a little girl, my mother sewed clothes for me and my sister whenever she could. 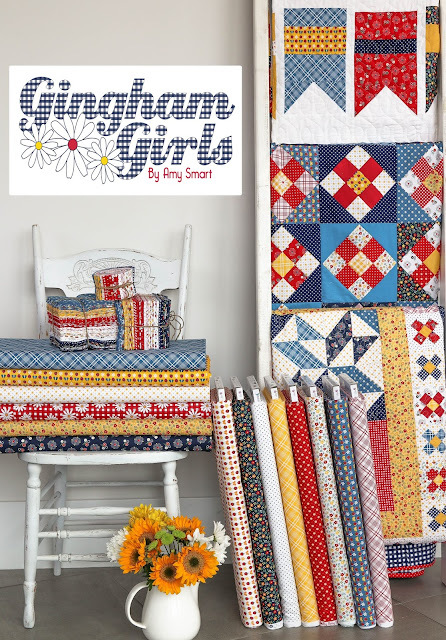 After getting a glimpse of Amy Smart's new collection Gingham Girls for Penny Rose Fabrics, I was almost certain that she'd gotten a peek at my childhood closet. These prints would be right at home among those handmade dresses. Light and happy and just a touch patriotic, Gingham Girls couldn't be more perfect for summer sewing. 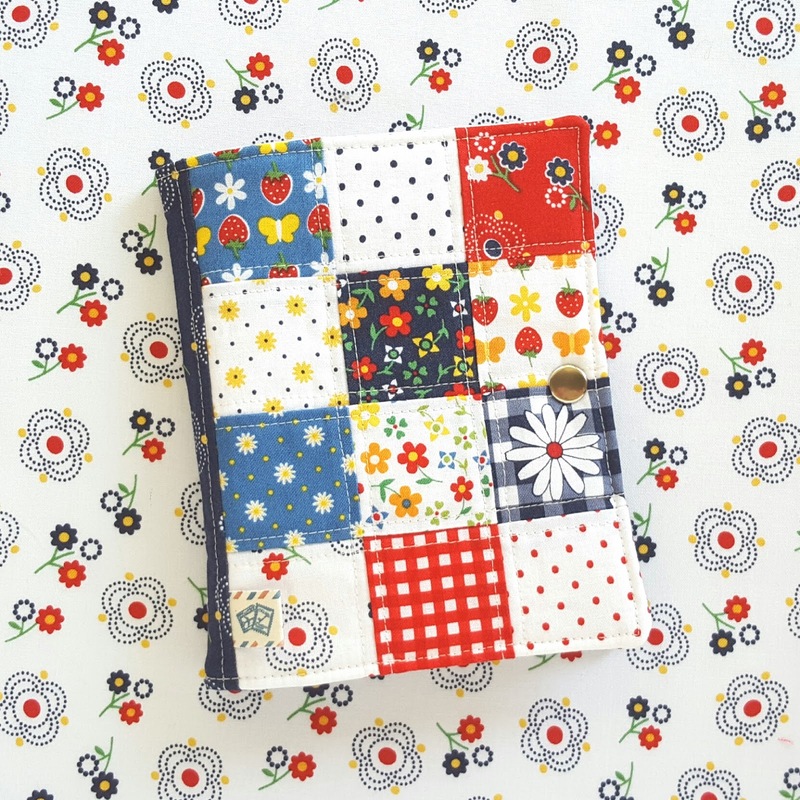 I haven't stitched up a Stationery Kit from my tutorial in a while, and it always makes for a fun afternoon of sewing. 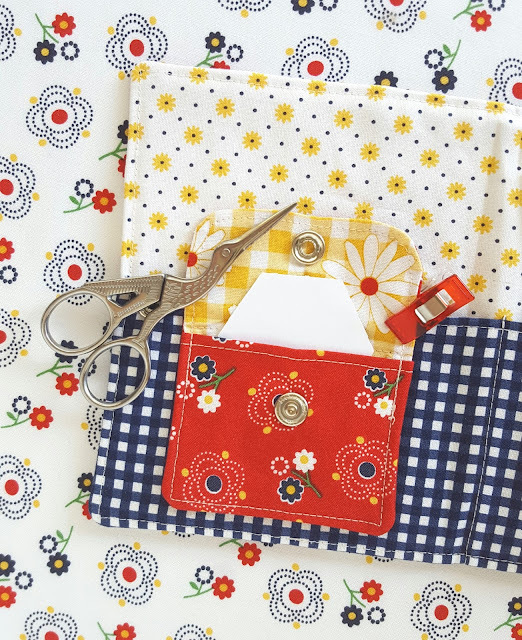 While I love using these projects to hold note cards and stickers, they make sweet little sewing kits with just the quick addition of a felt rectangle for needles and pins. I especially like using them for paper piecing. That snap pocket is just the right size for 1" hexagon paper pieces! The more I work with Amy's fabric, the more I love it. I introduced her prints to my fabric stash too and found that it played really well with the rest of my collection. The kit was an early Mother's Day gift for my mom -- and a not nearly big enough "thank you" for all the gorgeous clothes she made for me over the years. I love you, Mom! You're amazing!! Be sure to check in at Amy's website for more stops on the Gingham Girls tour in the next few weeks! 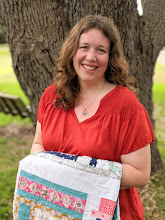 Love this new fabric line of Amy's! Also love the cute kit you sewed up. So nice to know your fabric works well with Amy's. So often it is hard to mix and match when doing different projects :)! 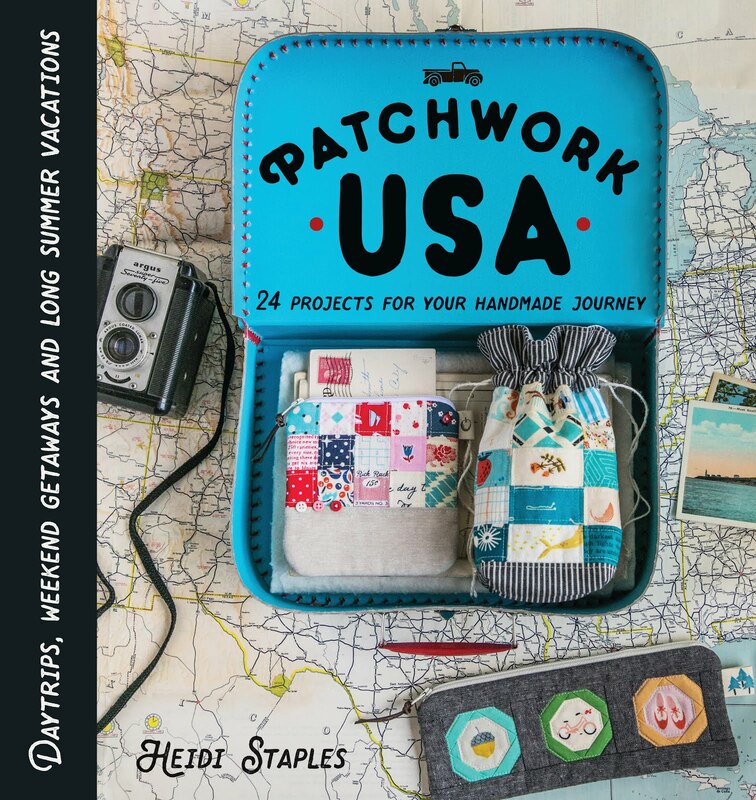 So gorgeous fabrics and sewing kit! Such sweet fabrics! 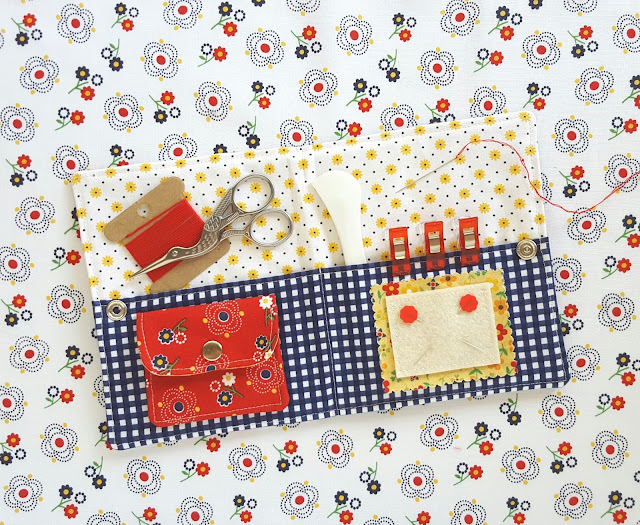 Love your adorable little sewing kit. I forgot about that tutorial and need to make one of those. As always your makes are so sweet and something that I would be proud to display in my house. These adorable fabrics remind me of sunny summer picnics. Love the adorable sewing kit you made. It's not only your perfection execution of such wonderful designs that keeps me coming to your blog, but the fantastic styling and photography! This turned out SO beautiful, Heidi! I love it so much. Very cute. The prints remind me of my childhood too. 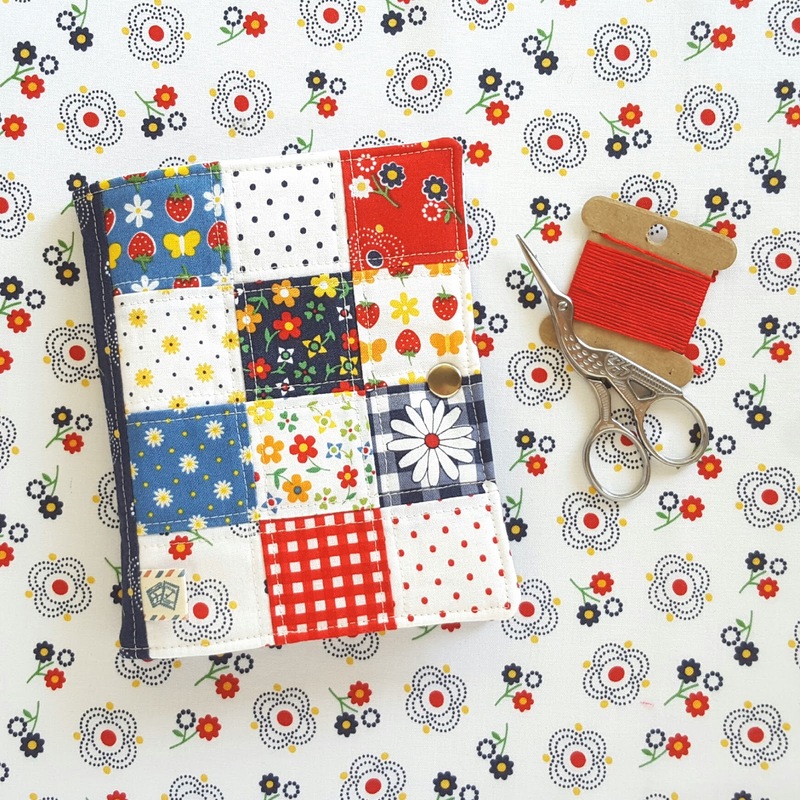 I've been looking for a stationary kit pattern!